Although the Dutch reached Terra Australis (the Southland) ahead of the British and French, naming it ‘New Holland’ in 1644, they never seriously considered establishing a base. Those who went ashore on New Holland thought the land had no commercial prospect. It appeared too dry and infertile. As a result until well into the next century there was little interest in exploring New Holland’s southern coastline. Circumstances changed during the 18th century when the dominant naval powers of the time– England and France – took a renewed interest in the uncharted landmass situated between the Indian and Pacific Oceans. The French were keenly aware of the British presence in the southern hemisphere, especially following the establishment of the penal colony on the east coast at Port Jackson. The southern coast was uncharted and ‘unclaimed’ and was there for the taking should it be considered of strategic or economic value. The French had a base in Mauritius (Ile de France) in the Indian Ocean but had not established a settlement in New Holland. In 1772, two years after Cook had claimed the east coast of New Holland and named it New South Wales, François de Saint-Alouarn formally annexed the western half of New Holland for France. [iv] The ceremony took place on the tip of Dirk Hartog Island. Territorial claims of this kind, however, did not have much force until they were followed by permanent settlement and detailed mapping. While the pursuit of strategic and commercial advantage was a dominant reason for the explorations by the French and the English in the southern hemisphere, both countries also sought to place their nation at the forefront of scientific inquiry. The ships carried teams of scientists (botanists, gardeners, astronomers, artists, and so on) who were fully engaged in various scientific tasks when the ships landed. 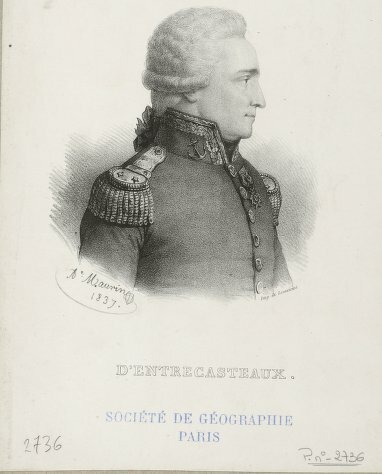 The first French expedition to map the southern coast was led by Admiral d’Entrecasteaux who left France in 1791 (the same year as Vancouver left England on his voyage of discovery). Due to the pressure of time, and unfavourable winds, d’Entrecasteaux sailed past the entrance to a huge sound without realising its potential as a harbour. A year later George Vancouver sailed past the promontory which he named Bald Head and entered the protected waters. The French were undeterred. 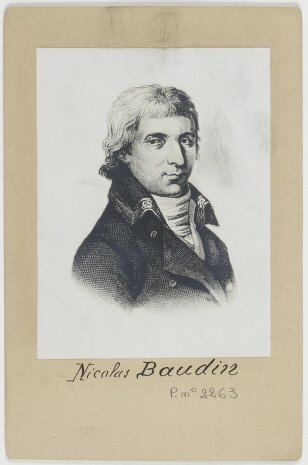 Nicolas Baudin led the next French expedition, authorised by none other than Napolean Bonaparte. It was well-equipped with two large vessels accommodating 11 scientists and crew. Baudin captained the Geographe and Jacques Hamelin captained his store ship, the Naturaliste. The expedition sailed from France in October 1800. They did not immediately head for the southern coast. For two years Baudin charted the west coast of New Holland before sailing directly to the south east coast now settled by the British. The Naturaliste left Port Jackson in 1802 for France with its precious cargo of scientific specimens. Baudin remained on board the Geographe in command of the expedition. While in Port Jackson , Baudin purchased a smaller vessel, the Casuarina (a locally built schooner) to replace the Naturaliste. It was placed under the command of Sub-Lieutenant Freycinet. The two vessels headed westward and did not reach the coast near present-day Albany until March 1803. Baudin and his officers had access to Vancouver’s charts and they knew about the fresh water location identified by Vancouver as ‘the watering place’. On reaching the entrance to the Sound, Baudin headed to it and stocked up on fresh water supplies. Freycinet had arrived in King George Sound aboard the Casuarina ahead of Baudin. After stopping at Whalers Beach to collect fresh water, Freycinet had chosen to beach his boat for minor repairs in Princess Royal Harbour, near the present day yacht club at Pagoda Point. He reported a good supply of timber, fish and fowl, and fresh water from a stream some distance from his campsite (most likely present day Limeburners Creek). The importance of the freshwater springs played a critically important part in the occupation of the southwest corner of New Holland by Europeans. Peron records that the knowledge of the spring saved the lives of the crew of the Casuarina that arrived from the Cape of Good Hope at the site with only a few bottles of water remaining. Freycinet’s map of ‘Stream Bay’: The two streams are clearly visible running across the beach. The can be see to this day. Observatory Island (Mistaken Island) is shown on the top right-hand corner. 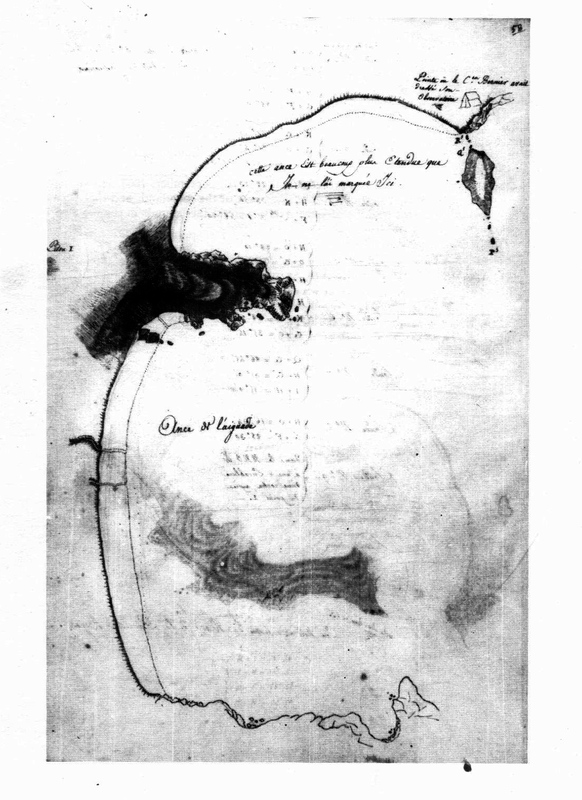 Freycinet has written that the sketch-map is not drawn to scale. Baudin erected two tents, one for the sick and one for the naturalists, near the fresh water streams.His men dug ‘reservoirs’ at the mouth of one stream to wash the ship’s linen and hammocks. A ‘viaduct’ was built to collect fresh water at the mouth of the other stream but eventually it was abandoned and the fresh water was collected cask-by-cask. In Baudin’s judgment, Stream Bay was a preferred anchorage because of the better access to good quality water as well as suitable stands of timber. Also the inner harbour had treacherous shoals and was very shallow at low tide. Early on Baudin sent his astronomer, Bernier and assistant, to set up an observatory post on an island at the northern end of a long white beach (know known as Goode Beach) and called it Observatory Island (now known as Mistaken Island). The party of scientists was obliged to move their tents to the mainland adjacent to the Island after they accidentally set fire to the vegetation while cooking (it was February and the brush would have been very dry and flammable). Before he left the Sound, Freycinet found a bottle with a message left by Flinders near Point Possession that he passed on to Baudin. The message warned that the entrance to Oyster Harbour was guarded by a shallow sandbar. Towards the end of his stay, an American sealer, the Union from New York under the command of Captain Pendleton, entered the Sound. [vi] Baudin invited the captain to dinner aboard the Geographe anchored in Stream Bay. This could be construed as the inaugural dinner party in Frenchman Bay with the two captains at ease in each other’s company. Pendleton and several of his crew were later murdered while en route to China to trade the seal skins he had acquired. 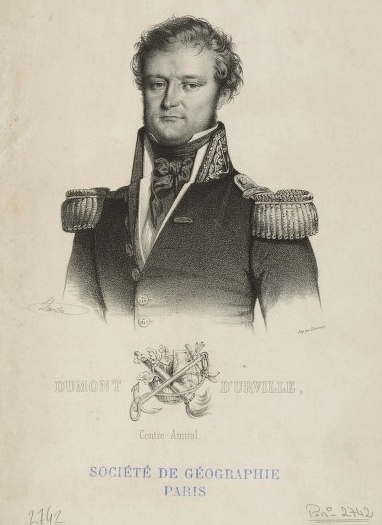 D’Urville, in command of the Astrolabe visited King George Sound in October 1826, a month ahead of Major Edmund Lockyer. D’Urville’s vessel had been renamed to commemorate La Perouse whose expedition was lost in the Pacific some 40 years earlier. D’Urville remained in King George Sound for 18 days, He collected flora, including previously undocumented species, and had them meticulously illustrated. His expedition is noted for the drawings and paintings of the Mineng people by the ship’s artist, Louis de Sainson. Though somewhat caricatured, they frequently appear in books about early European exploration of Australia. D’urville was sufficiently impressed by King George Sound that he wondered why the British had not already established a permanent base. The expedition’s artist, Louis de Sainson, produced a painting (see above) from that expedition depicting crewmembers loading fresh water from the springs by bucket on to a small boat. The Frenchmen are shown conversing with Noongyar people, one of whom is carrying a bucket of water. The location has been assumed by historians to be Stream Bay (Whalers Beach) though after a detailed investigation local historian John Myer believes that the site of this activity is a beach on Princess Royal harbour at the foot of Mt Clarence. The French seriously considered establishing a penal colony in the south west of New Holland. The fear of this eventuality prompted the British to act decisively in 1826. In that year Governor Darling in Port Jackson, New South Wales, dispatched Major Lockyer, with a detachment of marines and party of convicts to establish a settlement at King George Sound. It was a preemptive strike designed to keep the French out. [i] In 1627 the Gulden Zeepard sailed along the southern coast and named the hinterland Nuytsland after a prominent merchant on board. Whether the Gulden Zeepard entered the sound is not known. [ii] Adam Wolfe, a marine archaeologist and heritage consultant in a letter to Eric Harley, dated 20 December 2001, attached to the City of Albany Council meeting papers for 20 January 2004. [iii] William Nairn Clark, a visitor to Albany, lamented in 1841 that most of the whaling off Albany was in the hands of the Americans. He estimated that about 150 sailing boats were operating off the Albany coast. [iv] Until Matthew Flinders, circumnavigated the continent it had been thought possible that Terra Australis consisted of at least two separate landmasses. Following the circumnavigation and the invalidation of that theory, Flinders suggested in 1804 that Terra Australis be recognised as a single land mass and be named ‘Australia’. It took nearly 50 years for the name to catch on. [v] During his stay in King George Sound, Freycinet completed a survey sketch of Stream Bay that clearly details the two streams emptying onto the beach as well as other identifiable landmarks. The larger of the two streams is now named Vancouver Spring. The sketch shows Mistaken Island with an outline of a tent on the headland above it (see the map in Marchant, p.292). [vi] A few days earlier, one of Baudin’s officers had encountered the American vessel while exploring a section of the coast a short distance from the Sound. Baudin subsequently named the bay ‘Two People Bay’ (Port des Deux People). This was supposedly a reference to the revolutionary people of the two countries, France and America. Mt Gardner, which sits behind Two People Bay, can be easily observed from Frenchman Bay. [vii] Baudin had seriously fallen out with his subordinate Freycinet during the voyage. After Baudin died en route to France Freycinet and other scientists were happy to promote the success of the expedition in their own terms. Freycinet was later to return in 1816 as a head of a new French expedition. He did not feel a need to revisit King George Sound. [viii] Visitors to present day Paris may visit the chateau and its maintained gardens. All images sourced from Creative Commons, Public Domain. MARCHANT Leslie. France Australe: A study of French explorations and attempts to found a penal colony and strategic base in south western Australia 1503-1826. (Artlook Books, Perth Western Australia. 1982). SELLICK, Douglas. First impressions Albany: Travellers Tales 1791-1901. ( West Australian Museum, Perth, 1997).